What has two heads, four eyes, eight limbs and can raise, show and sell cattle? That would be the ultimate dairy couple, otherwise known as Chris and Jennifer Hill of MD-Hillbrook. The Hills are marriage-partners as well as business partners and it all started from their shared farm backgrounds, Chris raised at Wauwatosa Ayrshires and Jenn at Glad Ray Farm. As they proceeded through education and work experiences they developed resumes that when combined provided a great foundation for their business. Chris worked for Maple Dell Farm in high school and went on the road as a full time fitter afterwards. Jen rounded out her agricultural roots with a degree in communications and a minor in marketing. With this broad spectrum, the couple was well prepared for a full service dairy business with emphasis on show animals and auction sales. Throw in a motivated crowd, microphones and the possibility to set new records and who among us doesn’t envy them the opportunity to work every day in the industry’s two showplace settings – the show ring and the auction ring? Chris is certainly one of the best in the business when it comes to selling dairy cattle. Chris Hill’s show fitting skills provided him with a large network to build from for his business. 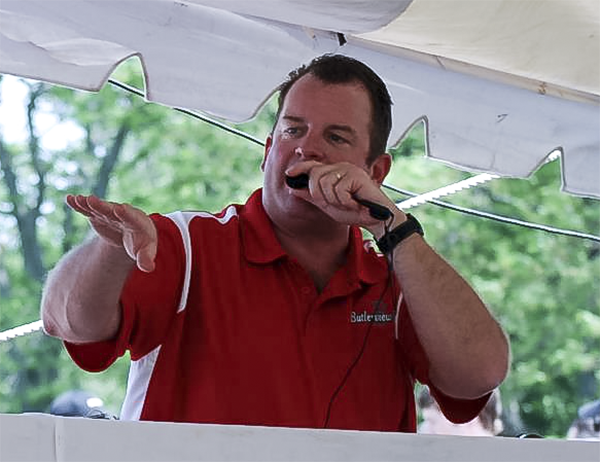 He graduated from auctioneering school in 1990 and managed his first sale – the start of the March Madness Sale series – in 1993. Today, with so much riding on the buying and selling of top animals, Chris has mastered the technique of making the crowd comfortable and keeping it light with a little humor. Words come easily for him and both Chris and Jen say that for them the real measure of success is a satisfied client. Chris and Jenn Hill live 5 miles away from Jen’s parent’s farm where their cattle are housed. 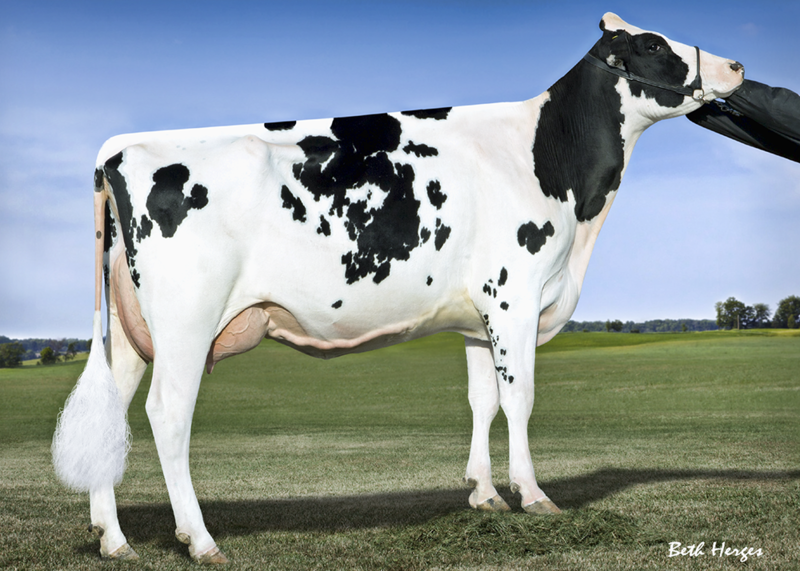 They develop primarily show heifers with a few genomic or polled females. Jenn works at the farm five days a week. 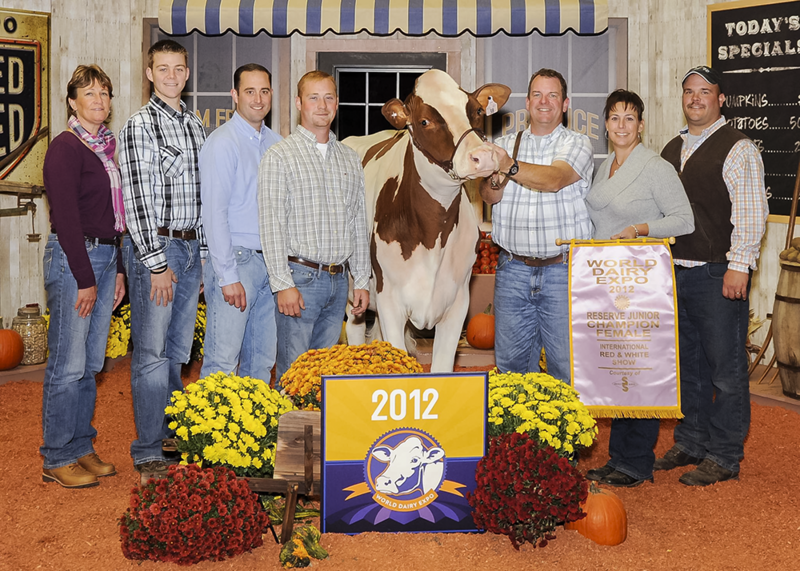 Between the two of them they oversee the development and marketing of both show cattle and auction sales. With such a constantly changing work schedule, Chris and Jenn’s enterprises provide a daily barometer for what is happening in the show and sale end of the dairy business. Palmyra M-O-M Manhattan ET: She is owned in partnership with Ryan Shank. She is the number 2 Red/RC cow of the breed. 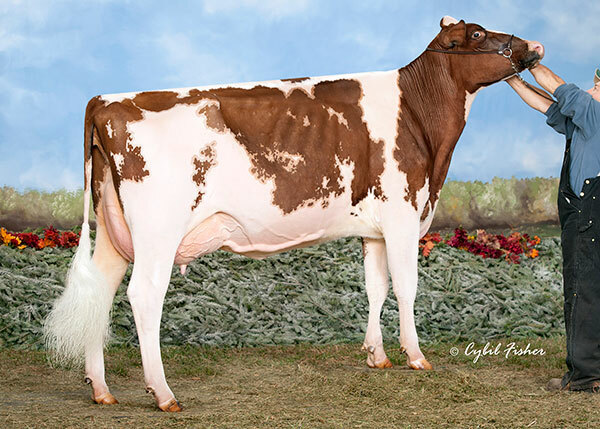 We purchased this cow for her outcross pedigree as well as being a high genomic RC Man O Man and realized her numbers would rank in the top of the breed. She has flushed well. We have exported embryos and have several pregnancies. 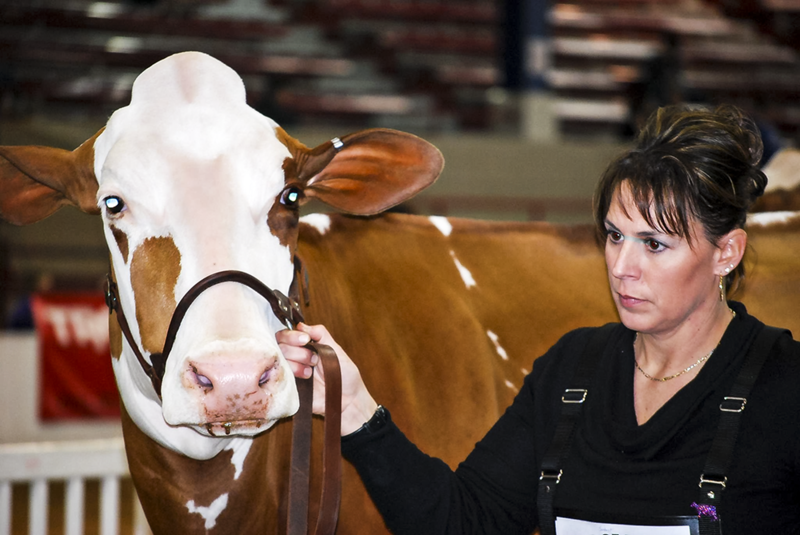 The cow herself will be offered in this year’s National Red and White Sale. She Sells in the International Intrigue! Bella View Shot of Gin: We purchased her because she has a great pedigree and was a Shottle that could show. 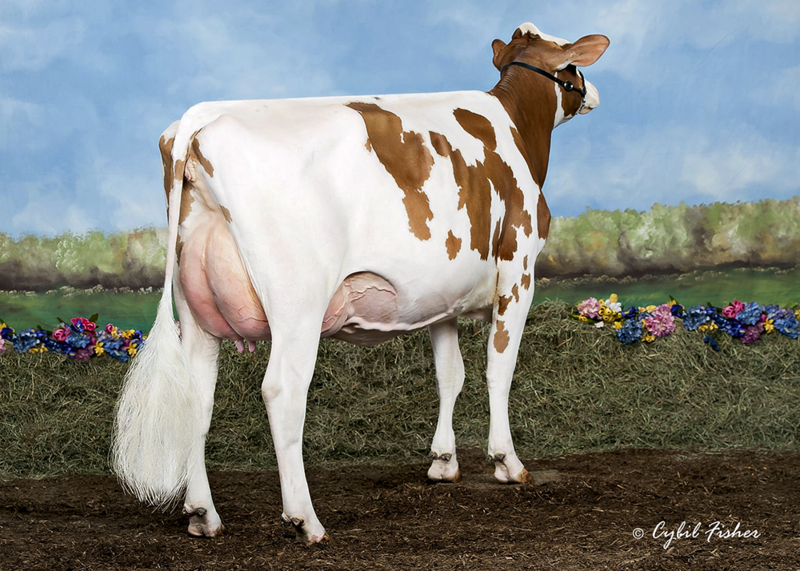 She is now VG89 as a two year old. She will sell July 27 at the International Intrigue. He stall mate, Briar Berry Contd Tabby Red is VG89 as a two year old as well. 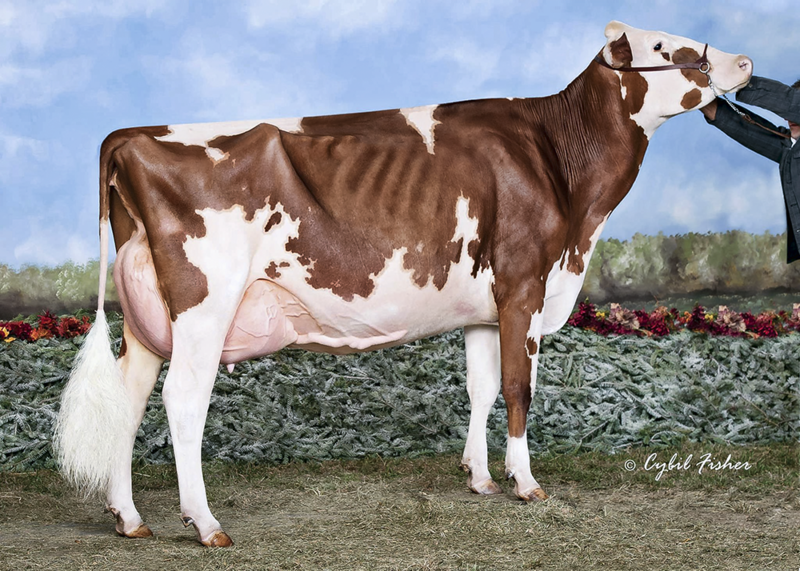 Greenlead Redl Mi Red: Purchased with Chad Umbel and James and Sharon Keilholtz as a calf. She is turning into a nice brood cow. She produced Glad Ray More Fun Red 3x All American nominee. Junior Champion at the Royal as a yearling and unanimous All American that year, Grand Champion at the Eastern National as a 2 yr old. Her full sister Glad Ray Mamajuana Red was Res. AA Summer Yearling last year and is due in June to Alchemy. We have done IVF work on her and have several more females due. UNDEFEATED in red competition the last four years. Undoubtedly there are many opportunities ahead for MD-Hillbrook but Jenn and Chris are already happy with the successful business which makes it “possible to do a job we love.” Jenn and Chris appreciate their parents for the work ethic that keeps them productive. They appreciate each other’s talents for teamwork. To the passionate dairy breeders they strive to please, they give this advice. “You need to be open-minded and take risks. No one ever succeeds by standing on the sideline.” Now that’s a good call!! I love, love, this article!!! What a great life you guys have!!! Was not sure what to expect when I read the title!!! Flash….we would love for you and your wife to come to Texas, but I think we could have more fun coming to see you…..you look GREAT!!!! Almost as good as your cows!! So happy to see you all doing so well!!! Dad & my son Will show steers in Ft Worth this week…..fun…..but not like it once was!!!! Take care!!!! 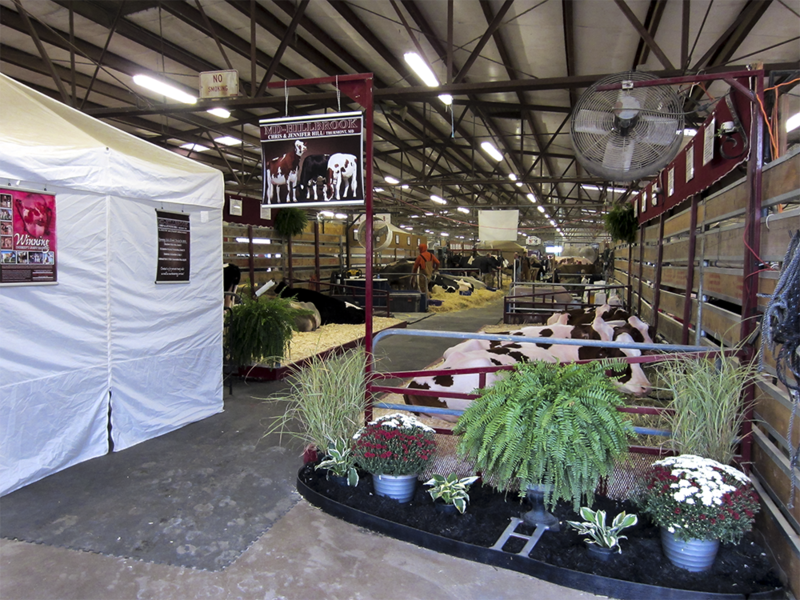 1990 Ft Worth Stock Show….. second pic maybe few years later!! !